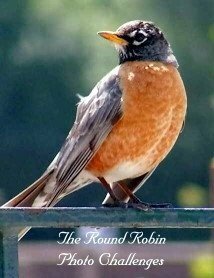 It is time once again for the Round Robin Photo Challenge and this week’s theme is “Looking Up”. Flag Day is tomorrow, so I am celebrating a day early! Happy Flag Day to all those in the USA! To see more Looking Up posts, head on over to the Round Robin Photo Challenge Headquarters! thanks for visiting my blog and your comment! I am looking forward to seeing the movie! love your entry; so patriotic!! Greetings from Hong Kong!! Happy Flag Day! Love the vibrant colors and the shots of the Flags. Two thumbs up, well done! What a nice post! We all need to remember our flag and what it stands for, more often. Thanks for the reminder! Nice pictures, too. Cool – I’ve got flags in my looking up photo. Thanks for the pointer on flag day. Thanks for the reminder about Flag Day—I need to get mine out before I go to bed. The pictures are great! Great shots! It’s always a good feeling to look up and see the American flag waving in the wind.